Marsea Marcus, LMFT is a licensed therapist and author specializing in the healing of eating disorders, sexual abuse, trauma, and depression. She obtained her Master's degree from John F. Kennedy University. 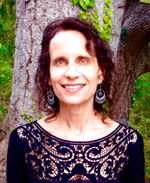 She is a trained Process Therapist and is also certified in the use of EMDR, a trauma therapy. Marsea has worked in several inpatient treatment centers for eating disorders and addiction recovery. She also maintains a private practice in Northern California. 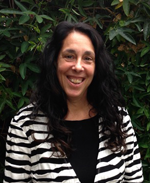 Andrea Wachter, LMFT is a licensed psychotherapist who specializes in eating disorders, depression, anxiety and grief. Andrea is the author of Getting Over Overeating for Teens and is a regular contributor to The Huffington Post. Andrea is an inspirational counselor, author and speaker who uses professional expertise, humor and personal recovery to help others. Both authors are co-founders of InnerSolutions Counseling Services and co-authors of Mirror, Mirror on the Wall: Breaking The "I Feel Fat" Spell and The Don't Diet, Live-It! Workbook.